This week tear filled clouds opened up and poured down rain on us as Hannah Banana the GSD, our longtime friend, one of the bedrocks of Doggyspace, lifelong companion and heart dog to her mom Aunt Connie, and giant of the dog world, crossed the River of Live via Rainbow Bridge and became immortal. There was a time when it seemed every dog on social media knew Hannah Banana. 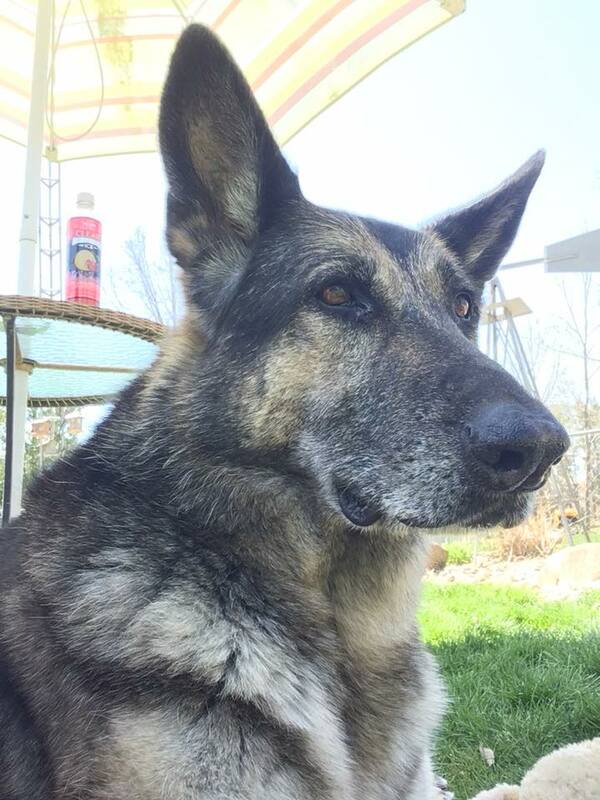 She was strong, courageous, intelligent, loyal and focused and those attributes are shown through as our humans read the posts her mother helped her compose and saw pictures of her brilliant face on their timelines German Shepherd owners rarely get another breed after owning a GSD and Hannah was the personification of why. We could feel the sorrow in Hannah’s heart when she crossed over Rainbow Bridge. But she is a German Shepherd, and she put on a brave face for us. I asked her if she remembered our old Doggyspace days and for the first time since her passing she smiled and nodded. I told her I had something to show her. “This is what we dreamed of,” I told her. “We are together again.” We entered the gates and were met by Apollo who was teaching the unrescued dog lessons about humans. Soon they would be placed with a human angel and know the love they never felt on the mortal side. We went by Tommy Tunes’ popcorn castle, Hattie’s Mae’s House of Fashion, Willie’s swimming hole, Brooklyn’s tennis ball company, Otis Campbell’s ice cream shoppe, Scooby’s bakery, Leo’s tuxedo studio and dozens of other businesses and homes built by our angel friends. “Foley,” Hannah said as she looked around and saw all her old friends, “you all did it. You made Doggyspace into a real world.” I told her it was not us, but believing parents, who thought their dogs were the greatest beings on Earth and wanted to share their story and their love, like Miss Connie, a parental trailblazer in the dog social media. Hannah Banana helped build a site based on love, kindness, prayers, and understanding. 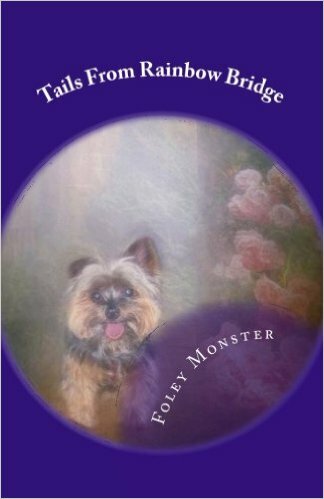 Ten years later dogs share their stories and pictures on social media and bring all those attributes to a cold and sometimes cruel world. Dedicated parents like Miss Connie and their loving, dedicated dogs make the world a better place. Hopefully knowing Hannah is back home at Doggyspace will ease her suffering. It won't be long before all of the old Doggyspace will be relocated to the Bridge. Run free Hannah. We never knew about Doggspace. But it seems like you had a lot of great friends there. Soft woos and gentle hugs to Hannah's family on her passing. We are glad your shared the Doggyspace joy with sweet Hannah.